Unsurprisingly the answer is not obvious and will depend on who you ask. If you ask anyone managing people in the NHS their answer will be in relation to their budget. If you ask doctors or nurses, then they need more staff. If you ask the public, they want more doctors and nurses, but less administrators. If you were to ask me, however, I would ask “what is the NHS’s workload?” So forget the budget, forget their current number of doctors, nurses, porters etc. When you want to know how many staff any organisation needs you have to start with the workload. The workload is every company’s’ raison d’être. So that is where you start. How many patients does the NHS look after? Then look at the health needs of their patients, and separate them according to required skills. So for example in 2013/14, there were 15.462 million total hospital admissions. For each hospital admission you would need so many hours of cleaning, catering, nurses, porters, receptionists, doctors etc. When doing any analysis, you need to have one consistent unit. Hours are always good because everything can be turned into hours, so you can always use the same time scales to compare. Once you have the workload, separated into skill sets, then you can work out how many staff you need. The number of staff you need will depend on their contracted hours. So you simply divide the workload by their working hours. Simple, then you can say exactly how many staff the NHS needs. What’s more you can prove it. 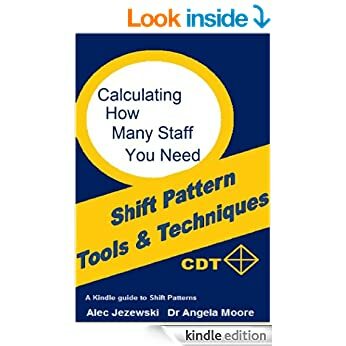 If you would like to know how to Calculate How Many Staff You Need buy my ebook available from Amazon. The really hard part is matching the staff to the workload.